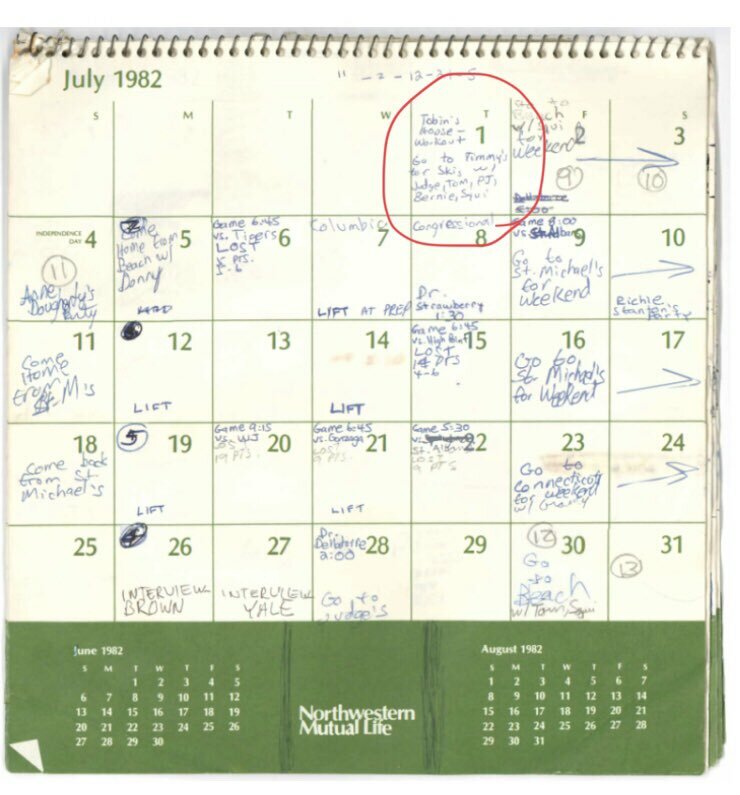 See: FBI Needs to Check Date Of July 1st On Judge Kavanaugh’s 1982 / Gronda Morin..
Buy 1997 Book by Mark Judge: Wasted: Tales of a GenX Drunk which indicates that he was working at that grocery store referred to by Dr. Ford at the 9/27/18 Senate Judiciary hearing, for several weeks in early to mid-August 1982.” Pay attention to the character, Bart O’Kavanaugh. The question that many of us have, including those of us who’re former Republican Party members, or as your preferred term, RINOs, want to know, is why are you backing an avowed republican partisan for the US Supreme Court post who isn’t bothering with even with the appearance of impartiality? Is it because you want to expand power of executive branch to where the FBI’s Trump-Russia probe being led by Special Counsel Robert Mueller III can be for all intensive purposes, be effectively ended? Is it because you want to stop in its tracks, any probing of the NRA (National Rifle Association) being in receipt of lots of Russian monies which were then funneled into the campaign coffers of republican candidates running for elected positions in 2016? Is it because you want to preclude any possibility of the 2020 US census questionnaire NOT including the question of one’s citizenship? Is it because you want the Supreme Court to render a favorable ruling regarding the Gamble vs. U.S., No. 17-646, which deals with the “separate sovereigns” exception to the double jeopardy clause? I am pondering why you are pushing this nominee when there have to be other conservative justices with the stature of Judge Antonio Scalia who could be selected for this US Supreme Court post without the hard-line partisan history of Judge Brett Kavanaugh? Good post, Gronda. The truth doesn’t matter to the GOP Senators. 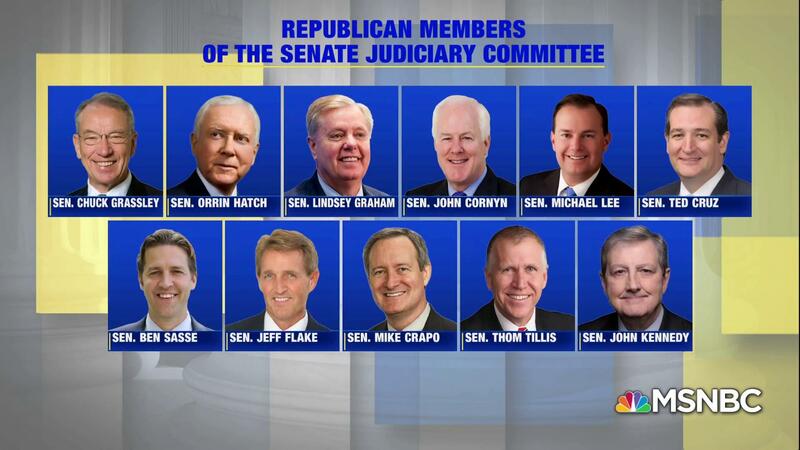 This is their chance to dominate the Supreme Court for the next few decades – no matter what happens to Trump or the GOP party in November and 2020. I will be totally astonished if any of them grow a conscience this week. 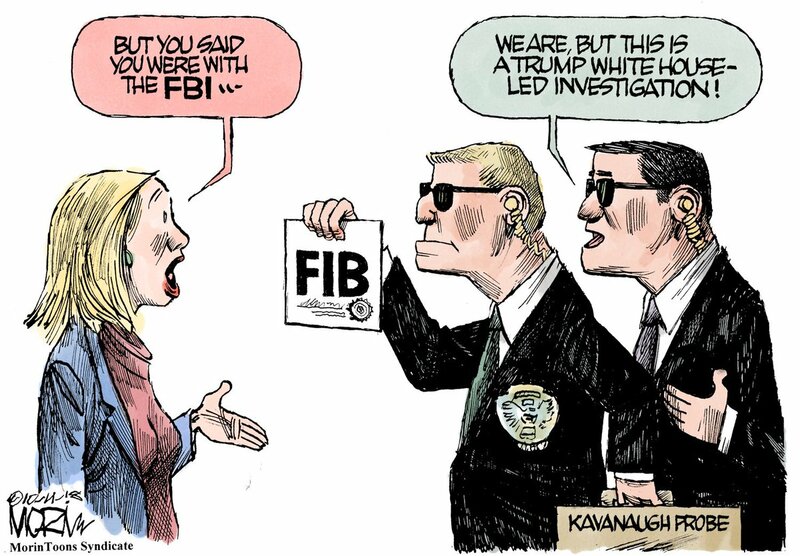 I’m pretty sure Jeff Flake himself will vote to confirm Kavanagh no matter what the FBI finds. I am so glad that the updated NAFTA agreement is now behind all of us for now, the USA, Canada and Mexico. No one would be more shocked than me if a GOP member finds his heart/ conscience.. I’m praying for another miracle to where Judge Brett Kavanaugh does not become a Supreme Court justice. I fear that barring a miracle, you are right in your analysis. Even without corroboration as to alleged sexual assaults, I am strongly opposed to his confirmation because of his temperament, his ability to dissemble and his hard leaning republican partisanship which should disqualify him, end of subject. Gronda, I shared with a few Senators that we need not be in such a rush as the job is lifetime and one of the top nine positions in our justice system. I also shared my disappointment in his combative temperament. Grassley should have admonished him on several occurrences saying the Senator is not being questioned, you are, so answer the question. I still am very worried as to why they are pushing for an obviously hard-line partisan who has temperament issues onto the US Supreme Court when there have to be other more qualified conservative judges like Justice Scalia who are up to this task. Why settle on someone with his lack of character? Could this be why they Guilty Old Perverts aka GOP, is in a hurry to push Kavanaugh off on us? It would go a long ways in explaining why they want to put their get out of jail card in the SCOTUS! Thanks a million for the reference. I did do a blog using this information.